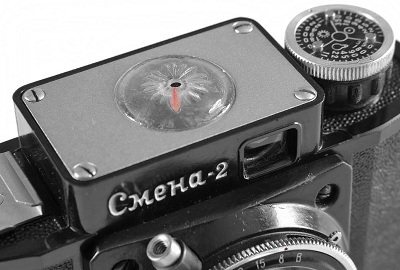 This mysterious camera was already mentioned as Smena-2 type-4e. Different camera resources supply us with very contradicted information again. 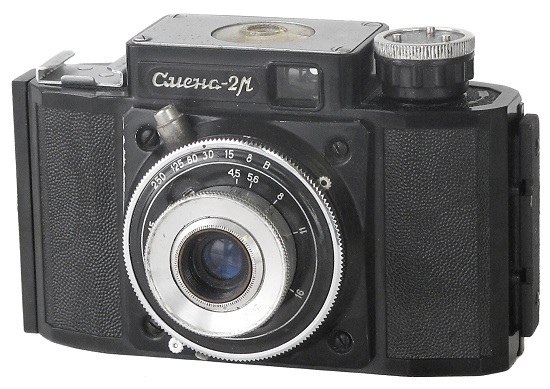 A big half of camera collectors never saw this camera alive. Shutter: 1/8, 1/15, 1/30, 1/60, 1/125, 1/250 + B. Quantity: ± 50.000 units (unconfirmed). PB0405. 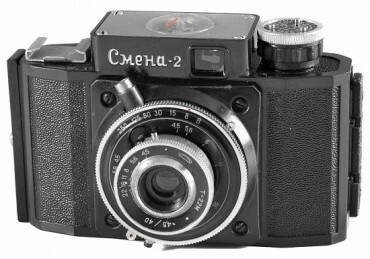 Prototype version of Smena-2M camera, released in 1960. T-22 4.5/40 lens. Shutter release knob on the top plate. New sequence of shutter speeds: 1/8s, 1/15s, 1/30s, 1/60s, 1/125s, 1/200s + B. Aperture control is obviously changed. 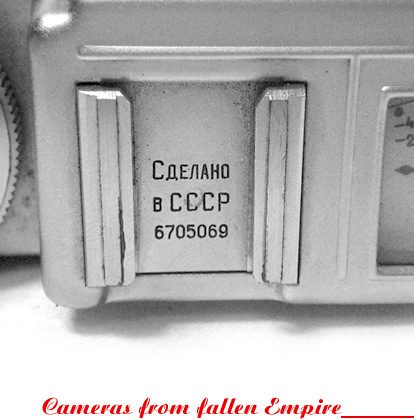 Picture of the Smena-2M opposite was kindly provided by authors of famous SSK book "1200 cameras from the USSR", 2009. 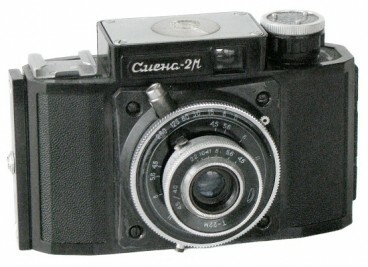 PB0405 - Smena-2M prototype camera. PB0410. 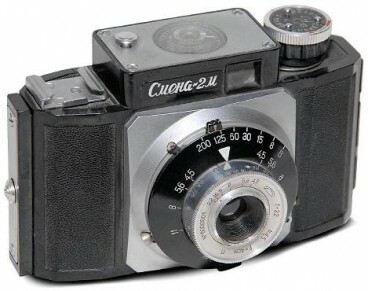 Seems to be the the 1st productional version of the particular camera. Different top plate mouldings! All characters on the nameplate are bigger size. Comes without selftimer, but with synchronized flash. Camera #6116234 from Juhani Halmeenmaki (Finland) collection. PB0415. Camera identical to the Smena-M, but under name in Cyrillic „Смена-2М“. Comes without selftimer, but with synchronized flash. PB0417. 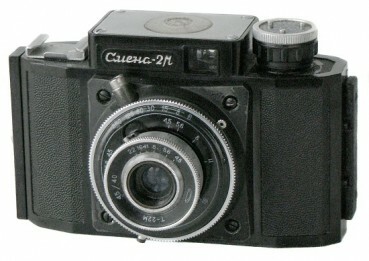 Camera identical to PB0415, but synchronized and with delay mechanism. 8-digits serial number, instead of 7-digits on regular ones. Camera opposite from Vladislav Kern (USA) collection. PB0420. 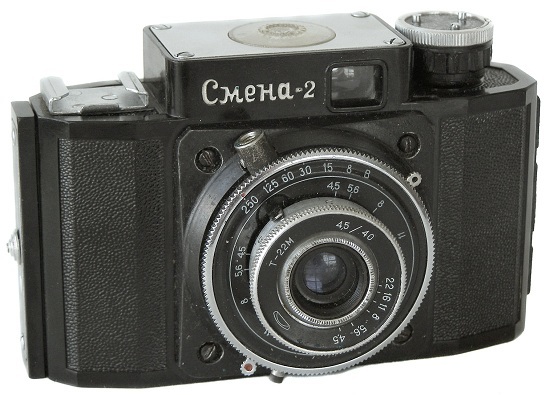 Camera identical to PB0417, but under name in Cyrillic „Смена-2“. Camera synchronized and with delay mechanism. PB0425. Camera identical to PB0420, but with never seen before design of the frame counter (see picture below). 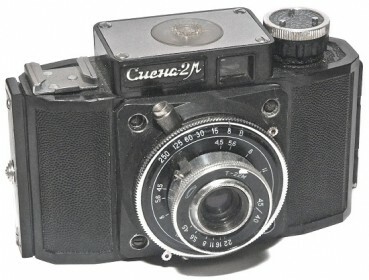 Camera opposite from Istvan Csabai (Hungary) collection.